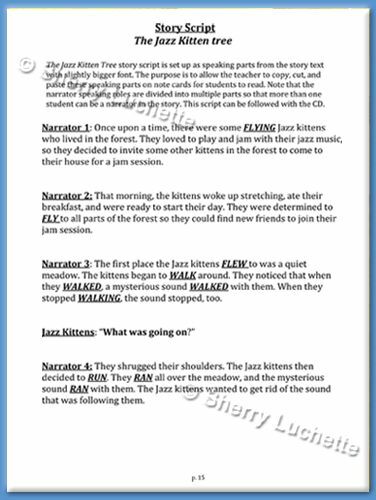 The new Flying Jazz Kittens Primary Series, The Jazz Kitten Tree, is the first in a set of 5 Book/CD sets designed to explore the timbres and style of jazz music through story, movement, instruments, singing, and scatting in the general music classroom, K-6. It is designed for the general music teacher who is looking for a fun, hands-on approach to introducing jazz to their young students. No prior jazz experience is necessary. The activities in this series begin with a look at scatting and echoing exercises with many variations. From there, each book presents a story which can be listened to on the CD, acted out by the students, or a combination of both. Each story ends in a special jazz blues or latin style song for children to sing, and invites opportunities for scatting, instrument play, and movement. Paper puppets and other reproducibles are included in each book to enhance the music story experience. Orff arrangements and recorder/barred instrument parts are included for play. 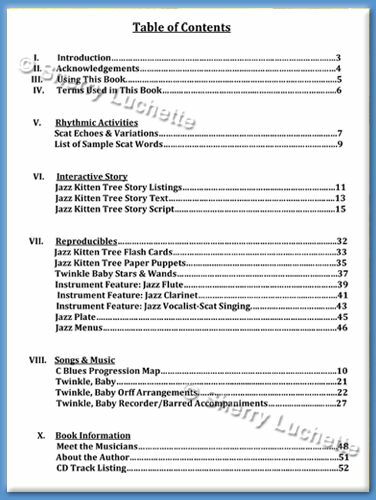 Each book/CD set also contains three instrument feature pages where children can learn more about instruments played in a jazz style. The CD contains soloing examples of featured instruments, the music story with and without sound effects, a blues or latin song with and without vocals, open blues track for practice of the book exercises, and a fun jazz instrumental of a well-known children’s song. 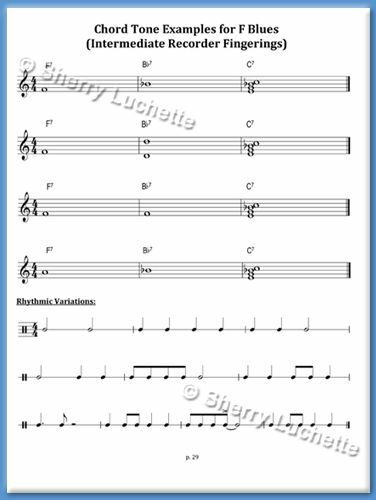 Choirs and private students will also find this series useful for jazz scatting and playing warm-ups with the open blues track, as well as singing and playing along with each story’s blues or latin melody. 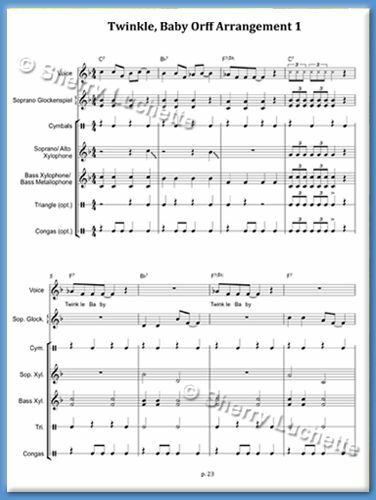 The activities in this series can easily be adapted for traveling music teachers. The possibilities are endless!